When a registered entity , such as a corporation or LLC, plans on doing business in a large number of states (or even just a few), the differences among state laws and rules concerning the entity name can have a big impact on what the company is called in a given state. It can be difficult, especially if the company is registering to do business (“qualifying”) in a large number of states, for the company to use the same name it uses in its home state in every registration. Below are the answers to some common questions regarding company names that arise when a company is planning on registering across the U.S.
Q: Does the corporate name have to be available in all states? A: Not necessarily. In fact, it can be pretty difficult to register under the true company name in all states for a number of reasons, one of which is the name may already be in use in a particular state. Because states use different criteria for determining whether a name can be considered distinguishable from previously existing companies, it can be difficult to find a name that works in every state. For example, under section 79.40 of Title 1 of the Texas Administrative Code, names that contain “similarities which may tend to be misleading as to the identity or affiliation of the entity” will require the consent of the existing entity to be accepted. Under this rule, a company wishing to use the name “United Phase Two” or “United Productions” would need to provide a letter of consent from an existing “United Company,” because they share the word “united.” The alternative to getting consent is to indicate the company will use a different name in the state of Texas. Q: What do I do if the name of my company is not available for use in a given state? A: The qualification process in every state allows for the use of a “fictitious,” “alternate” or “assumed name.” The procedures for registering a fictitious name vary from state to state. In most states, the true name of the entity is listed on the qualification form, followed by a statement that in this particular state, the company will use a different name, which is also listed on the form. The fictitious name chosen needs to be available for use and must comply with other state naming requirements. In some states, including Connecticut, Indiana and New Jersey, the qualification document spelling out the alternate name should be accompanied by a resolution of the governing body of the entity, such as the board of directors, authorizing the use of the name. In some other states, an additional filing is required for the company to use the chosen name. For example in Illinois, the corporation must also file an “Application to Adopt an Assumed Name.” Other jurisdictions, such as D.C. and Georgia, restrict which alternate name can be used. The name must be the true name followed by an indication of the domestic state of the entity. Q: Should I reserve the company’s name in all states where I intend to qualify? 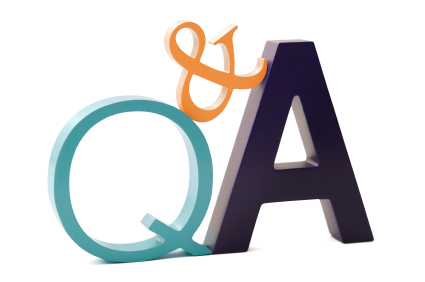 A: The answer depends on how quickly you plan to proceed with the qualification filings. If the company is able to file all the qualification documents quickly, reserving the name in so many jurisdictions may not be worth the trouble. If, however, the process is expected to take a long time, and if it’s important that the company use its true entity name in as many states as possible, the company may decide that the expense of first reserving the name, as well as the time that will be required to track the different expiration dates and file reservation renewal forms needed for ongoing protection, is worthwhile. Keep in mind that a name reservation does not fully protect the name. Whether the company reserves the name or goes straight to registration, filing an entity name with a given state’s corporate registry only prevents other registered entities from filing with that name there. It does not protect the name against non-registered businesses, like general partnerships or trade names. Copyrighting the name will protect the name you wish to use much more broadly than reserving it with the Secretary of State. Q: The company name appears to be available or is reserved in all 50 states. Is that a guarantee the company can use that name? A: No, unfortunately, it is not. Depending on the type of entity and what words are included in the name, consents and approvals from other agencies may be required. These other agencies often have their own rules regarding the company name. Insurance agencies and brokerages come across this when registering in NY, CA or MA, for example. In these states, if the company is going to get licensed as an insurance producer, it has to obtain consent for the entity name. The name must clearly spell out the type of business it is, which generally means the company must use “insurance agency” or “insurance brokerage” as a part of the name. If the company has already registered a name with the Secretary of State that does not meet these requirements, it usually needs to file an amendment adopting an alternate name. Also, the name may be trademarked or copyrighted, which means use of the name could result in legal action taken against the company, even though it is available for use in a given state. These types of filings do not show up on a search of the Secretary of State’s records. Q: Does the indicator the company uses to reflect its entity type matter? A: Yes. Not all states allow the same indicators to be used to designate a company. For example, in Delaware, Florida, Tennessee and Utah, the word “Company” can be used to indicate that a company is a corporation. In most other states, “Company” does not designate that an entity is a corporation. When qualifying a corporation using “Company” as a corporate indicator, it is often necessary to adopt one of the accepted indicators in the state and use that as an alternate or fictitious name in that state. “Inc.,” “Incorporated,” “Corp.” and “Corporation” are acceptable in every state to designate corporations, as are L.L.C and Limited Liability Company for that entity type. “Limited” is somewhat less universal. The following states do not recognize “Limited” or “Ltd.” as an indicator: Alabama, Florida, Tennessee and Utah. The variations found in state business entity statutes regarding what makes a name available, the types of indicators which can be used and the ability for other state agencies to determine a name’s acceptability mean it is likely a company will need to use a fictitious or alternate name in some states if it is registering to do business across the country. To plan ahead for this likelihood, a company may want to decide on one or two alternate names that it plans to use if the true name of the company is not available or not allowed for another reason.